We welcome entomologist Rollin Coville, who is an important part of the UC Berkeley Urban Bee Lab, where he is the Lead Photographer. Most people are now aware of honey bees and their troubles, but are you aware that California has approximately 1600 other species of bees? These other bees are often ignored, but are important pollinators. They are critical in maintaining our natural plant communities and are capable of supplementing the pollination services honey bees perform in agriculture. These other bees are also under threat, and gardens can serve as a valuable resource for them. Dr.Coville’s presentation is going to look at the amazing diversity of these other bees. He will explore some of their stories, including their classification, nesting habits, and floral preferences. In addition, he will look at some of their natural enemies, insects that mimic their appearance, and what gardeners can do to help their populations. Dr. Coville received his Ph.D. in 1978 in entomology from the University of California, Berkeley. For over 30 years his primary interest has been photographing insects and spiders. He also has an interest in the biology and behavior of Hymenoptera and has published papers on Trypoxylon wasps and Centris bees. After his retirement in 2006 from AT&T, he began working with Dr. Gordon Frankie from Berkeley and Dr. Robbin Thorp from Davis in their ongoing studies of bees in urban gardens. 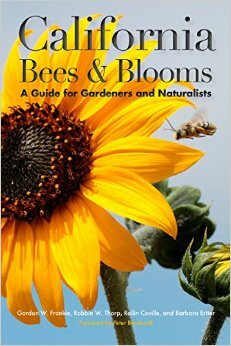 The recently published book, California Bees & Blooms: A guide for gardeners and Naturalists, is one result of their work. He is continuing his photographic work in documenting the behavior and ecology of bees in California as well as Costa Rica.